With price tag of Rs. 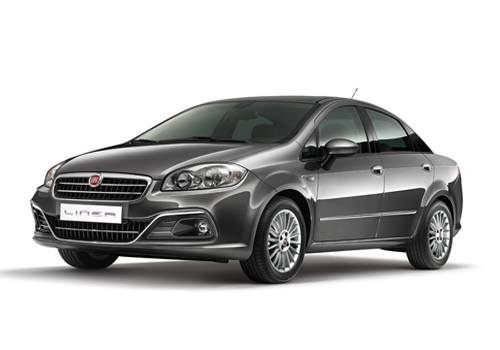 5.99 lakh (ex-showroom price in Delhi) Fiat has launched Fiat Linea Classic in Delhi. Fiat has launched Linea Classic in both petrol and diesel variants. By launching Linea Classic in Indian car market, Fiat wishes to focus on strengthening its position in C – segment of sedan. Linea Classic is one of the nine vehicles which Fiat India proposes to launch in coming three years. The petrol variant of Linea is energized with 1.4 litre engine that churns the power of 90.2 PS and 115 Nm torque. The diesel variant is empowered with 1.3 litre multijet engine producing the power of 75 PS. Fiat has covered both variants with five speed manual gear box. The exteriors have been upgraded with alloy wheels, fog lamps, electronic controlled mirrors, door handles mated with chrome finishing followed by chrome grilles at front side. On the rear side company has mounted Classic badge to enhance its looks. Interiors have been customized with hydraulic power steering, power windows for front passengers, and air conditioner supported by manual controlling system. Addressing the launching ceremony of Line Classic, Mr. Nagesh Basavanhalli, President and Managing Director, Fiat Chrysler Operations India said that company has made some interesting plans to offer it customers during the upcoming festive season. And by launching Linea Classic sedan at cost of hatchback car, company has started implementing its plans for festive season. According to Mr. Basavanhalli launch of Linea Classic will help company in strengthening its position in Indian market which is an important place for company to explore its potential. Industry experts believe that Fiat Linea will prove to be a tough contender for sedans in C-segment mainly for Amaze from Honda, Swift Dzire from MSIL, Sail from Chevrolet and Verito from Mahindra.